The 2018 – 2019 King’s Mock Trial season starts with the Bulldog competition at Yale University where King’s two summer teams took on mock trial teams from around the country. Team White captured 4th place with senior, Wesley Bahng being named Best Witness. The season continued with a big change as our three school teams moved from an eight year tradition of district competition in Snohomish County to our inaugural showing at the newly established Kitsap County, Washington YMCA Youth and Government district competition. For the first time ever, King’s top two teams took both 1st and 2nd place at this event. Confirming the top tier competitive level at this district event, all teams advancing from the Kitsap County competition to the Washington YMCA Youth and Government state competition placed in the top 10 following the final rounds of trials in Olympia this past weekend. Our teams, comprised of freshmen through seniors, compete against schools from all classifications making this an extraordinary feat, especially in light of the bulk of the team being sophomores. Team members include the following students. 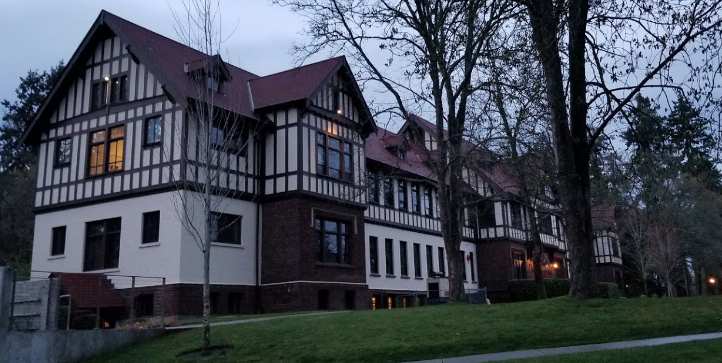 The King’s Mock Trial district champion and second place team move forward to the state mock trial tournament held on March 22 – 24th at the Thurston County District Courthouse. At this event King’s teams battled through four very challenging rounds to emerge in an impressive 3rd and 10th place. Receiving special accolades are the following students. As you see these students around campus congratulate them on their outstanding academic and competitive achievement and ask them what’s next for the upcoming year! Three in-house scholarships for a total of $3000, made available by local law firm Karr Tuttle Campbell, will be announced at the upcoming Awards Ceremony to be held in Schirmer Auditorium on Wednesday, May 22, 2019 on the King’s High School campus located at 19351 King’s Garden Drive, Shoreline. King’s Schools is a Preschool through High School Christian college preparatory school located in Shoreline.